Back in February, we wrote about the disappearance of the HTC Mail app from the Play Store, but it was quickly restored. 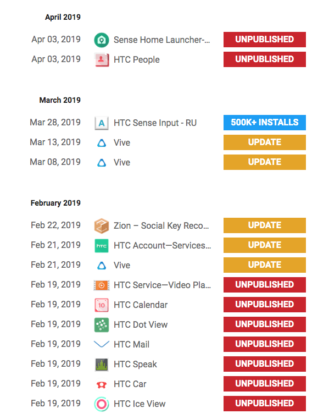 More recently, we received a tip about the Sense Home launcher also vanishing, but closer inspection shows that a total of 14 HTC apps have been unpublished in the last three months. 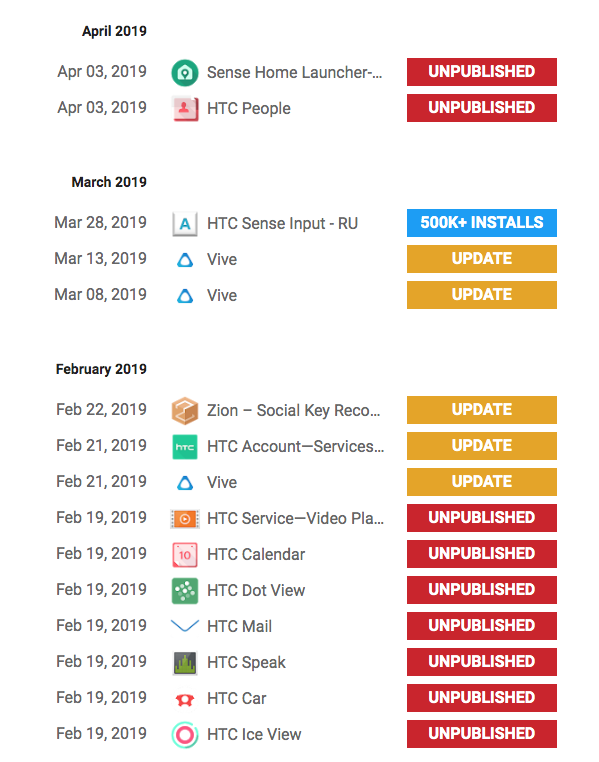 Looking at the latest HTC Corporation activity in App Brain, we can see that the Sense Home launcher and contacts app People were unpublished just this month. 12 more apps, including Calendar, Dot View, and Speak suffered a similar fate in February, while the Mail app that went and then returned is once again conspicuous by its absence. A few of the unpublished apps hadn't been updated in months, so it's likely they simply weren't being used or supported any longer and therefore had no reason to still be on the Play Store. However, apps like Mail, Contacts, and People are supposedly key alternative apps that come preinstalled on HTC devices, so it's a little strange to see those removed. It's not clear exactly why this is happening, but there are a few possible reasons. HTC's smartphone business hasn't been doing all that well in recent years, and supporting a bunch of apps that few people are using doesn't make much sense. That said, there are still plenty more apps from the Taiwanese company still live on the Play Store. Perhaps the new phones HTC plans to launch in 2019 will ship with Android One, thus eliminating the need for its own stock apps altogether. Taking a leaf out of HMD Global/Nokia's book wouldn't be the worst idea. This is all speculation, however, and I've reached to HTC to see if we can get any official word on the matter. As pointed out by Flavio in the comments, the app for HTC's weird little Go Pro competitor has also vanished from the Play Store. 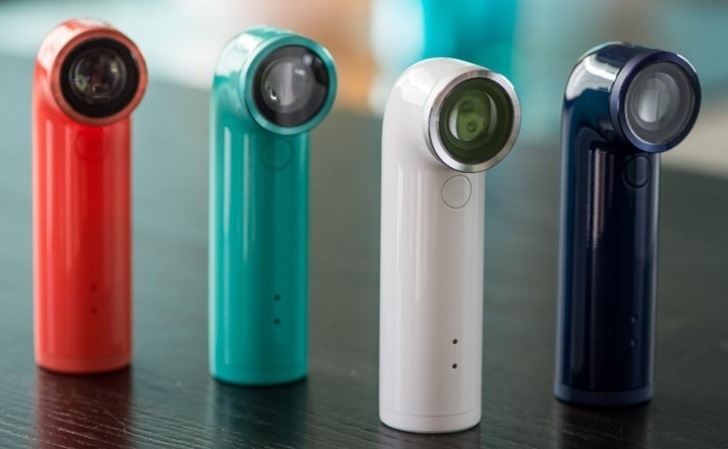 So you're going to be in trouble if you get a new phone but want to use the RE Camera, which still has a page up on the HTC website. Luckily, we've got the RE Camera app on APK Mirror for you to download, as well as many of the other unpublished HTC apps. It was in, then out, then in, then out, and now it's in again — HTC continues to dance the hokey pokey with its Android email client. Thanks to KingBeevr in the comments for letting us know that HTC Mail has reappeared on the Play Store. We're not sure why HTC can't keep the app live on the Play Store for more than 5 minutes. The next move will probably be to shake it all about. The latest in what I am officially calling a saga is that the RE Camera app has found its way back onto the Play Store after its hiatus. So if you're one of the few people to buy the device, you can now install the app in the usual way once again. At this point, it seems reasonable to assume — as some have in the comments — that HTC's apps may have been pulled due to some sort of Play Store policy violation and the company is now working to bring them back one-by-one. I reached out to HTC for comment but didn't get any answers — we might never know for sure. To help me in my bid to make this the most updated post ever, HTC has kindly added the Sense Home launcher to the Play Store again. If you'd rather download it from APK Mirror instead, we've got the latest version on there too. As we've already seen, the RE camera app, HTC Mail, and the HTC Sense launcher have all been republished on the Play Store already. It looks like HTC Restore, HTC Sense Companion, and HTC People won't be far behind, with less important apps to follow in due course. This also confirms that HTC isn't planning to cease support for these apps any time soon, so you can breathe a sigh of relief if you own one of the Taiwanese OEM's devices.